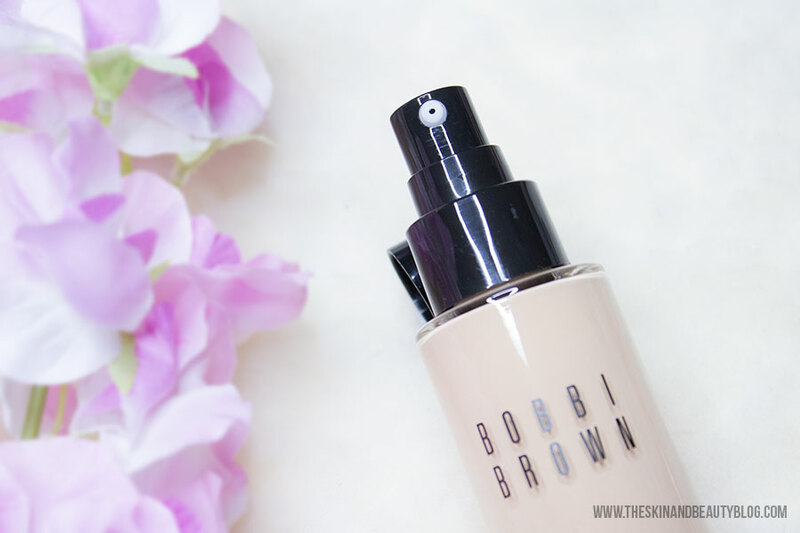 The Bobbi Brown Skin Foundation is conveniently packaged in a glass pump dispenser with a plastic top and cap that survives jiggling in makeup bags for secure on the go activity. It is still a little heavy and glass is still fragile however - it can break! 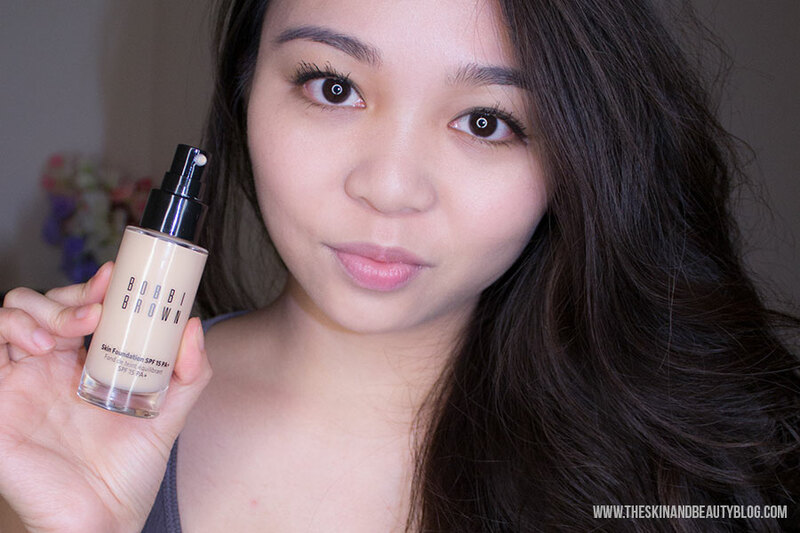 This is a water-based foundation so it has a very thin and runny consistency. You can see above that it is virtually slipping off my hand! It applies, spreads and blends easily. On the skin, it feels light and comfortable, but not exactly weightless. It leaves my skin feeling soft and lightly hydrated. 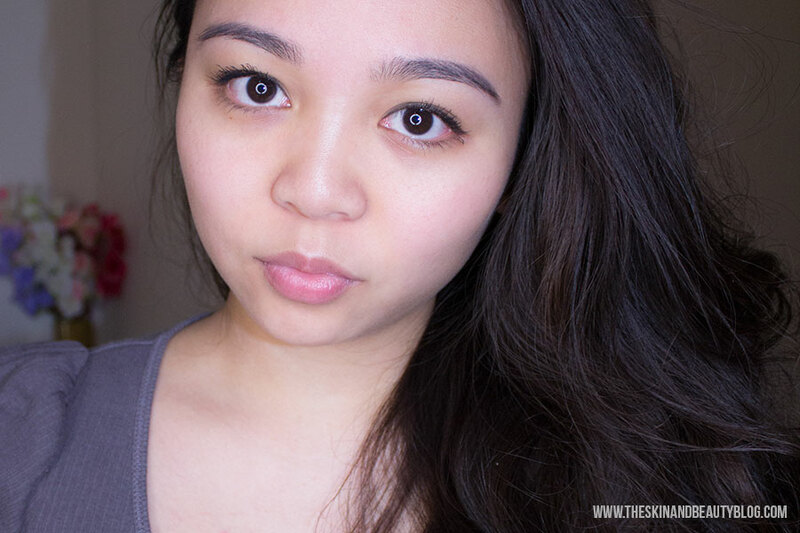 The finish is luminous, non-Cullen-like dewy finish. It does not completely dry up however - it transfers on to faces, clothes, surfaces. I would still set this with powder especially on the underneath the eyes as it does tend to crease, and white shirts be warned! This foundation provides light to medium coverage that covers mild skin COLOUR imperfections, such as light freckles and redness. As far as texture imperfections such as dry patches, large pores and bumps, I must say it does cling on to these, so you need well-moisturised, perfect skin for this. I would say this product is good for those 'good skin days'. A brief note on my skin type - I have combination skin that translates to dry cheeks with an oily T-zone. This product is quite moisturising and with my skin type, I find that this is not particularly long-lasting. The foundation starts to become patchy and oily around the 3 hour mark. Because of the moisturising nature of this product, people with dry skin types will benefit more from using this. I would not recommend this for people with oily skins, who will benefit more from trying something like MAC Pro Longwear Foundation. I'm quite pleased it comes with SPF15, but still this is quite a small amount of sun protection and I would still wear a more heavy duty sunscreen underneath this with a minimum of SPF30 for everyday protection. 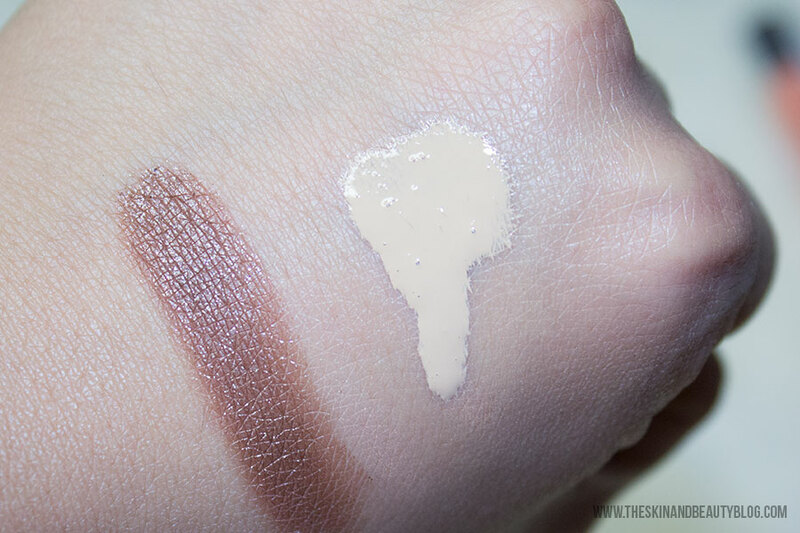 In summary, if you have dry to combination skin with minor pigment imperfections and you want a foundation that leaves a dewy finish, this one is for you. If you are not any of these, check out my other favourite foundations: NARS Sheer Glow Foundation and MAC Pro Longwear Foundation. 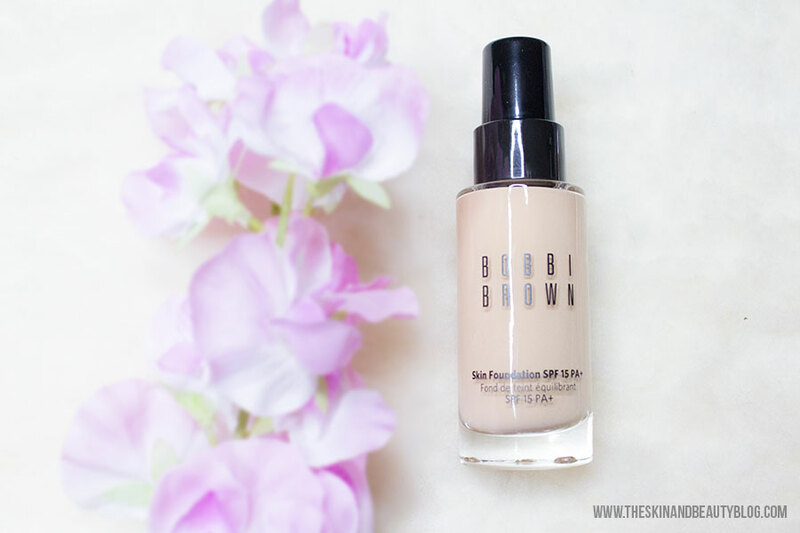 Bobbi Brown Skin Foundation SPF15 (£30) is available from your local Bobbi Brown counter or their website. Thanks for reading! If you have any questions, feel free to leave a comment below!